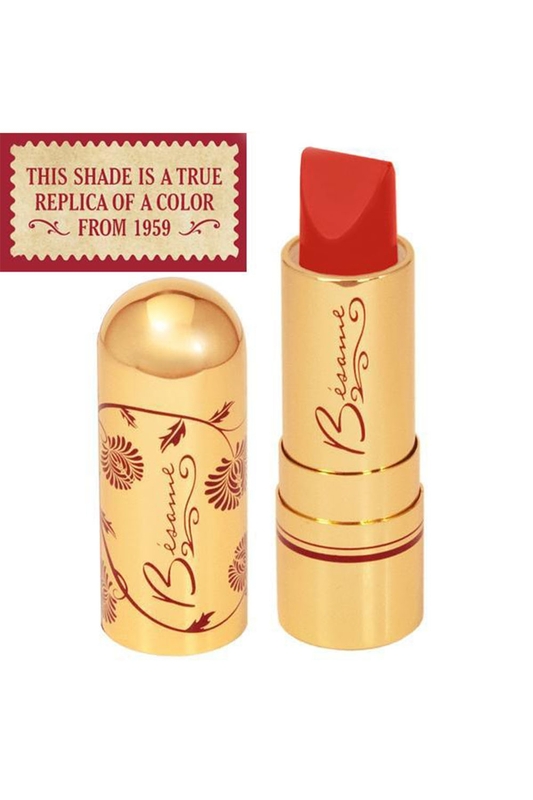 Bésame 1959 Red Hot Red is bold and brazen, which also happens to be our middle names! Similar to Bésame Red but warmer, with more yellow tones, Red Hot Red is a classic fire engine red. A semi-matte finish with one coat full coverage with the highest natural pigment content for a smooth, indelible, feather-proof finish. Use the sharp tips to line lips and the blunt side to fill in colour. Blot once or twice with tissue for long-lasting wear. Love the look? Why not try 1930 Tango Red by Bésame!